In the night to Sunday, February 3rd, half of the last squat in Basel was burnt down. 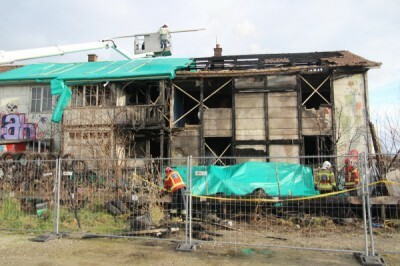 All residents of the building, which is squatted since 2004, were able to escape unhurt. The fire was possibly caused by a technical malfunction. At present it is unclear whether the Villa will ever be inhabitable again.